stockOzone - Financial Blogs | Stock Analysis | Expert Investing Ideas | Global Market News Spice Up Your Stock! Betting on turmeric is fetching even better returns than investment in stock markets. 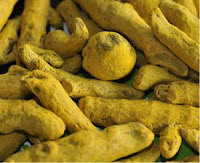 At a time when the government and the Reserve Bank of India (RBI) are struggling to cool down inflationary pressures, turmeric prices have soared over 40 percent. The common man suffers but the spot price was quoting at Rs. 15,176.30 per 100 kg on 16 November on the National Commodities and Derivative Exchange (NCDEX) — which is a jump of 40.62 percent from the beginning of the year. Interestingly, the BSE Sensex became the world’s best performing index earlier this month after touching its lifetime best of 21,000. This was a jump of 20 percent, while turmeric gained more than 40 percent. Thus investors betting on turmeric made more money than stock investors. “This year is beneficial for investors who put in their money in agriproducts like turmeric,” says Nalini Rao, senior research analyst at Angel Commodities. Some equity analysts say there is a relationship between high production of commodities and stock prices. Better performance of commodities is good for companies if they use these products as raw material. “Busi - ness in some fundamental commodity products can be termed more lucrative in comparison to equities,” says Kishore Ostwal, chairman and managing director at the Mumbai-based CNI Research. India is the largest producer, consumer and exporter of turmeric. “Lower supply in the market and higher demand are the major reasons behind turmeric’s soaring prices. In the past two years, its production was lower. This season production is good, but delay in fresh arrivals is pushing prices northward,” Rao adds. The price rise in spice is important, especially in the backdrop of the high inflation rate, which has forced the RBI to hike key policy rates six times this year. India’s headline inflation stood at 8.58 percent in October, while the food articles inflation rate for the same month was 14.13 percent. “Food price inflation is a structural problem,” observes Aditi Nayar, economist at ICRA Ltd, while Finance Minister Pranab Mukhejee feels the basic problem is not merely on the demand side. “Inflationary pressures are coming from the supply side. International food prices are going up,” he explains. High prices of food articles are a major concern for the common man in a country where about 800 million people earn less than $2 a day, according to the World Bank. The sheer volume of India’s turmeric production makes it a major player of the miracle spice used in cosmetics and medicine. According to the Spices Board of India, turmeric exports from April to September 2010 stood at 26,750 tonnes, as compared to 30,275 tonnes in the same period previous year.